Parabens are a type of preservative. Manufacturers include them in their products to stop the growth of bacteria, mold, fungus, and other things that you definitely don’t want in your lotion. There’s nothing wrong with preservatives in hair and skincare products in theory, but there are a few problems with parabens in particular. First, they’re not water soluble and can penetrate the skin. Second, there is evidence that the body can’t metabolize this chemical, which means it builds up in your system over time and with repeated exposure. Where Can You Find Parabens? To put it bluntly: everywhere. Parabens are extremely common in conventional personal care products, including soaps, shampoos, conditioners, facial cleansers, makeup, shaving gels, moisturizers, lotions, and more. Look out for products that contain any of the following ingredients: ethylparaben, butylparaben, isobutylparaben, isopropylparaben, methylparaben, and propylparaben. If you spend much time researching parabens, you’ll run into a study that found five different parabens in the breast tumors of 19 out of the 20 women studied. That really scares me. While it’s not enough evidence to conclusively prove that parabens cause breast cancer, it absolutely shows that the body doesn’t break this chemical down. 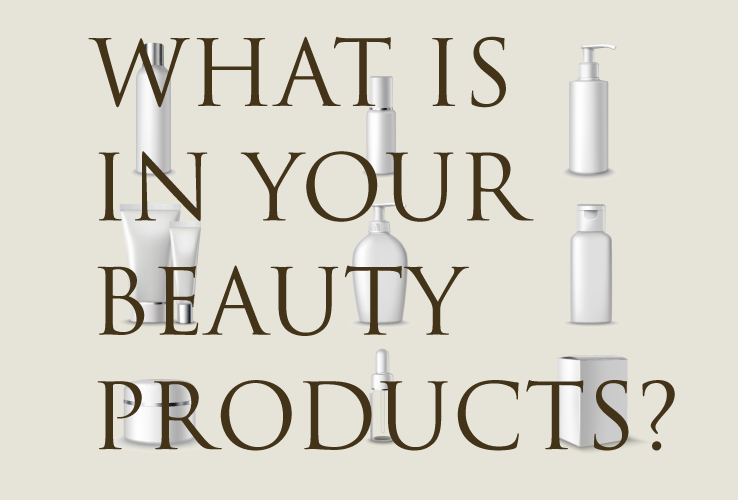 Think about all of the personal care products the average person uses over a day, a month, a year, and a lifetime. That’s a lot of paraben exposure. This exposure becomes even scarier when you consider parabens’ ability to mimic estrogen. Studies have found that parabens bind to estrogen receptors, disrupting the body’s ability to produce this hormone. Estrogen disruption is linked to reproductive issues and breast cancer. Even if parabens don’t cause breast cancer directly, they can create an environment that is friendly to it. Some sources are quick to point out that small concentrations of parabens are considered safe. If you only used a single product that contained this chemical maybe that would be okay. But we can easily encounter dozens of paraben-laced products in our daily life, and that exposure builds up over a lifetime. No wonder the EU recently banned this ingredient. Parabens may be common, but that doesn’t mean they’re inescapable. As information about their dangers spread, more and more products are going paraben-free. However, just because a bottle of lotion has a “paraben-free” sticker on it doesn’t it’s free of other problematic ingredients. Do your due diligence when considering a new conventional personal care item, or stick to natural products and skip the junk altogether. Research into parabens is ongoing, but I’ve heard enough to know they’re not something I want in my body or my products. Keep your eye out for these preservatives – your body will thank you. I love how you write. It’s such honest writing. I just came across your site recently and I’m in love! You make products and back up the good ingredients and why not to use the bad ones through blogging. I am on the path to all natural. I’m making progress but shampoo and facial products are the hardest to find all natural. I can’t wait to try yours out soon.